Walther Arms is exciting gun owners at the start of SHOT Show 2016 in Las Vegas, Jan. 18-22, with the release of its second generation to an already successful line of pistols. The PPS M2 is upgraded in virtually every way, and is sure to be an awesome little concealed carry firearm. Some of the biggest complaints on the previous version were dealt with, to make this handgun even better than it was before. What’s been upgraded? If you’ve ever held the first generation PPS, you can attest to the fact that the mag release lever can be a bit hard to reach for certain people. Walther heard you and changed that to a standard push-button type of mag release for ease of use and to make sure magazine changes go as easily as possible. Speaking of mags, there are three different sizes available, to include those that hold 6,7 and 8 rounds of 9mm ammo. This pistol will be a great option for those of us who live in restricted states. The overall shape of the M2 has been improved upon. It is only one inch wide, which helps it conceal better and print less. And, the grip has been changed so that the gun fits in your hand like it should. Also on the agenda to make it an all around better firearm, are the slide serrations that have been cut into both the front and back of the slide. That way, if you like to grab the front, you’ll get a better grip on it. For the most part, Walther Arms is known for their excellent triggers. The previous generation of PPS didn’t live up to their well-known trigger function. 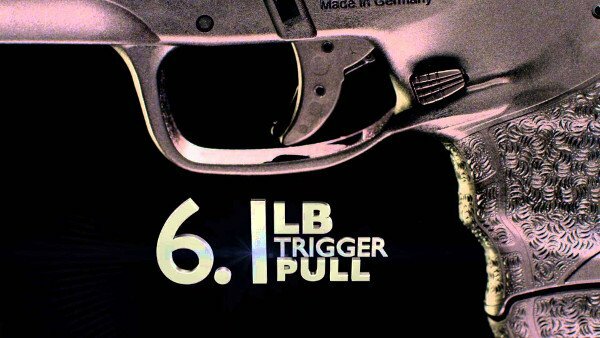 However, the trigger on the PPS M2, has been redesigned to be smoother, with a light 6.1 lb pull. According to the press release, we are told that the PPS M2 will be made available sometime early in 2016, so be sure to keep your eyes open for it. For more information click here.